The Recreational stream is offered to those who want to experience the FUN of gymnastics. The main focus is to introduce girls and women to this wonderful and graceful sport. 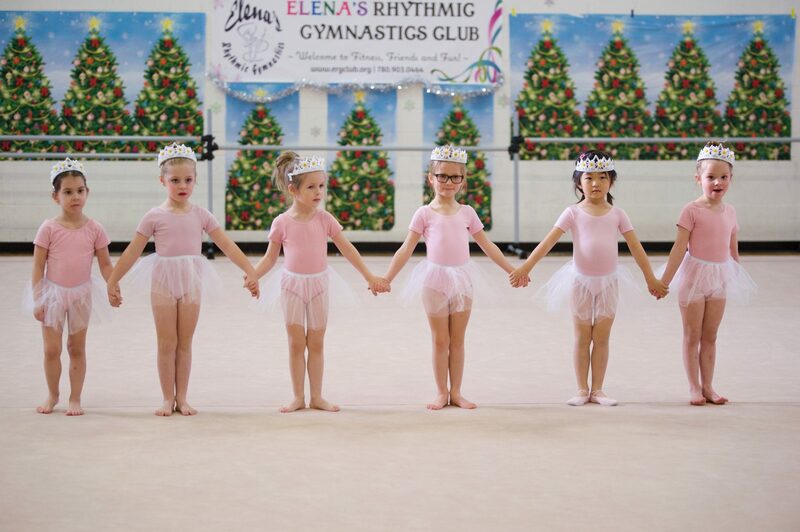 All classes incorporate a small introduction to ballet, warm-up, stretching and light acrobatics. 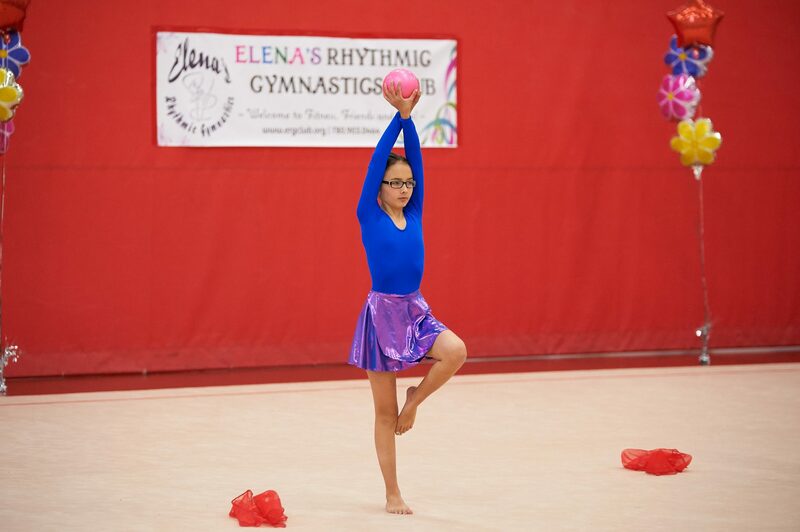 Each week we focus on a different apparatus (ball, hoop, rope, ribbon, and scarves) and teach the gymnasts the basic foundations of manipulation (throwing, rolling, and skipping) as well as gymnastics-specific skills and tricks. 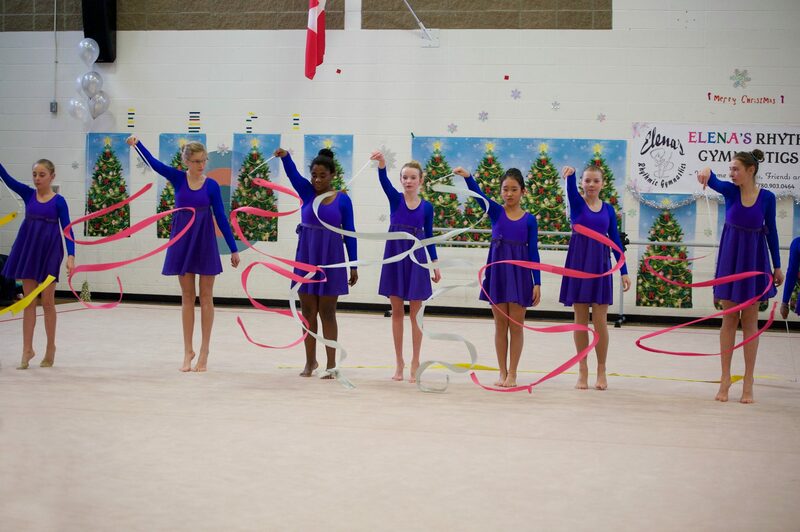 Our recreational gymnasts perform at two shows - the Winter Show and the Year End show - for which they learn unique choreographies, mastering the skills they have learned throughout the session. Classes are from 45min to 1hr per week, and are divided based on the age of gymnasts. We focus on the Active Start 4 Life program as well as Long-Term Athlete Development. The Parent & Tot class does not perform at the shows. Need help with funding? Check out JumpStart and KidSport. 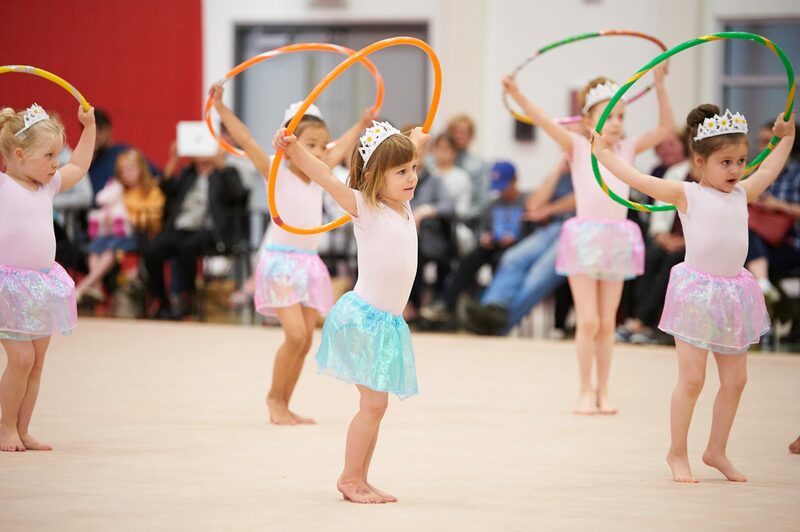 The Performing streams are ideal for those gymnasts who would like a more focused and dedicated involvement than the recreational stream, but do not want to do competitive gymnastics. These groups are divided by age group and train twice a week for 1.5-2 hours at a time. There is a strong emphasis on the basics of the sport - body awareness, coordination, posture, poise and group choreography. Gymnasts are also individually motivated with skill achievements. They move beyond recreational foundations and progress into the sequences and combinations that represent the building blocks of performing and competitive gymnasts. Performing Stream is by audition only. Gymnasts must attend all hours in the class to be in the program. For IntroCompetitive, please check out our Competitive Programs page. Legs: Bare legs for shows. For classes may wear black form fitting leggings or shorts. Feet: Rhythmic gymnastics half slippers or bare feet. Hair: should be neat, long hair tied in a bun, ponytail or braids. Hair should not fall into eyes or face. No jewellery, No gum, No shoes. 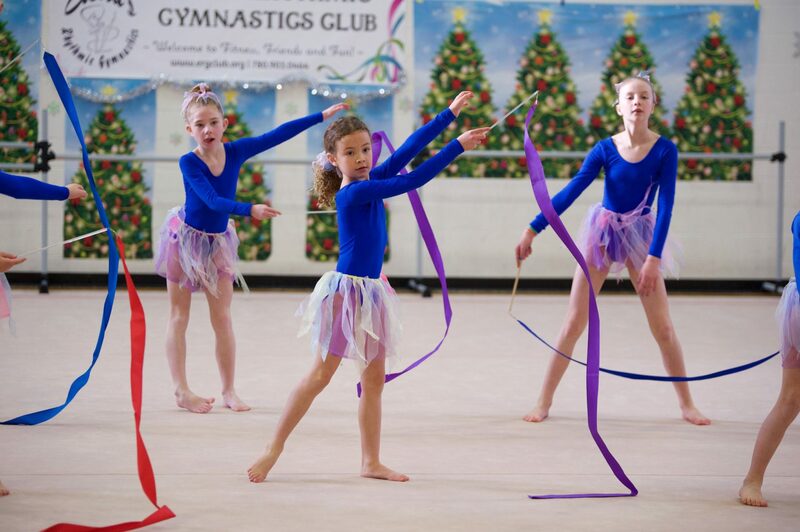 A gymnast may register for all sessions or just seasonally.The number of weeks depends on the weekday of the class is held and corresponding holidays. 2. Session Fees include class costs, show costs and show costumes. 3. 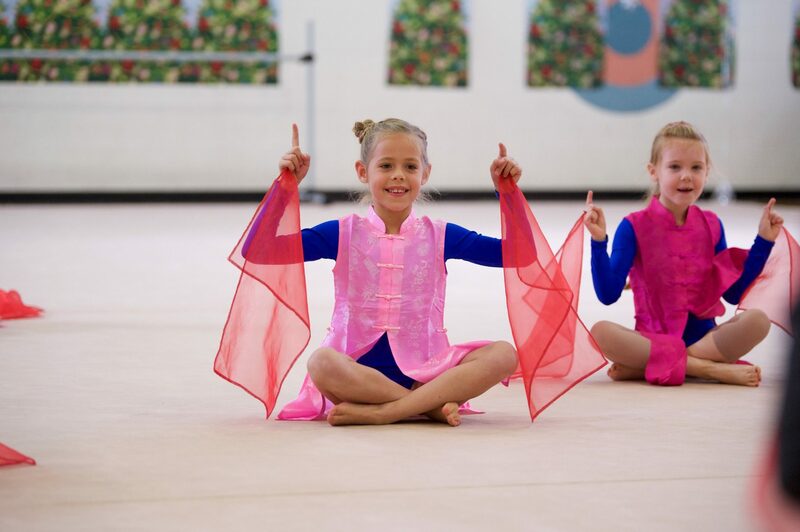 Gymnast must be the minimum age within one month of the class start date for all programs. Any exceptions must be approved by the Head Coach. 4. Minimum class size is 8, maximum 16 gymnasts. Junior coaches are provided for larger classes. Classes and coaches are subject to change due to registration numbers and coaching availability. 5. Registration Fee - $45.00/year/family (non-refundable) includes registration with RG Alberta and RG Canada. This fee is not refundable. This is not included in the session fees. 6. Payment plan: Total payment in one cheque or three post-dated cheques to be dated Sept 20/18; Jan 1/19; April 1/19 and must be submitted with Registration Form (online or paper) and $45.00 Registration Fee. Please, make cheques payable to ERGC. All cheques and forms must be submitted by the first class. - For any shifts that are filled by recreational families, each shift will give a $50 credit towards the gymnast's upcoming session fees. Contact info@ergclub.org if you would like to volunteer for the Casino. 8. Session Fees (Fall, Winter, Spring) must be paid in full. Cancellation prior to session start date will be given a refund of the session cost. Cancellation prior to the third class will be given a refund for remaining classes in session. No refund will be given after the start of the third class. No make up classes are allowed. 9. Participation will NOT be allowed without accepted registration form and fees. 10. Using carpets for recreational classes are a privilege. All families are expected to participate to help roll out and roll up carpets before and after classes. 11. Written notice of termination must be received two (2) weeks prior to the beginning of the following session. No refund will be made for missed classes. 13. Proper attire is MANDATORY for all training, shows and competitions and must be acquired and worn by the 2nd class in the session.